Do you need excitement in your life? If so, just write a column on the rewards and risks of vaccination. Then find a safe, secure hideout. Pour yourself a drink and wait for those who want to boil you in oil. This scenario happened to me when an editor pulled my syndicated article, balanced I thought, after it was published, due to criticism. In view of what happened should I have bypassed a column on vaccines? I hate hypocrisy, so I'd be the world's worst hypocrite if I followed the non-controversial path. Medicine is made up of many controversies. An editor 45 years ago counseled me, "It's the job of a journalist to make people think." This has left me with scars. But if I get fired for writing what I believe should be said, it's time to stop. After all, the motto of the Harvard Medical School is one word, Truth. I will live or die by it. 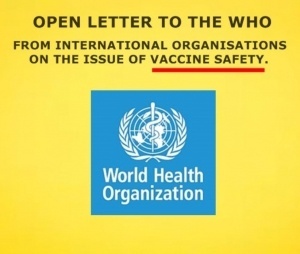 Open Letter from International Organisations to the WHO on the Issue of Vaccine Safety. To the World Health Organisation and those attending the meeting of the Global Vaccine Quality Control Laboratories Network (Rome 25th-27th September 2018). To the European Parliament, the European Medicines Agency and the European Directorate for the Quality of Medicines: In your previous meeting you advocated for less independent testing, considered ‘redundant’, in order to speed up the supply of products. The recent administration of 250,000 defective vaccines in China, the tragedy of the oral polio campaign in India with over 450,000 cases of paralysis and death, the damage caused by the Dengue vaccine in the Philippines, reports from all over the world of chronic pain and paralysis after administration of the HPV vaccine, show that vaccine safety and efficacy are being tragically disregarded in this drive for fast-tracking approval and easy certification. Should the CDC Oversee Vaccine Safety When They Purchase Over $5 Billion of Vaccines from Big Pharma? The U.S. Centers for Disease Control and Prevention (CDC) is tasked by the U.S. Government with overseeing vaccine safety. They claim on their website: "The United States’ long-standing vaccine safety program closely and constantly monitors the safety of vaccines. A critical part of the program, CDC’s Immunization Safety Office identifies possible vaccine side effects and conducts studies to determine whether health problems are caused by vaccines. Data show that the current U.S. vaccine supply is the safest in history." 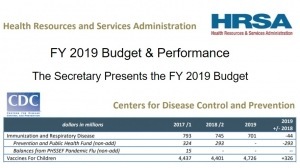 However, the CDC is the largest purchaser of vaccines in the world, and their budget to purchase vaccines from pharmaceutical companies was over $5.1 BILLION in 2018, and is set to increase to over $5.4 BILLION in 2019. 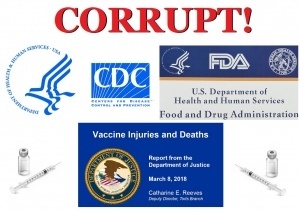 Can we trust the CDC to oversee vaccine safety with such a blatant conflict of interest? Do You Know How to Recognize a Vaccine Reaction? Do you know how to recognize a vaccine reaction? Like with prescription drugs and other pharmaceutical products, reactions to vaccines can be mild or severe. There can be complete recovery or long lasting health problems after vaccine reactions. 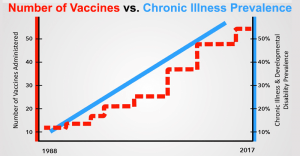 Rarely, vaccine reactions can be fatal. If you are making a decision about vaccination for yourself or your child, it is important to first become fully informed about each vaccine’s reported side effects, precautions and contraindications, which means reasons for why a person may be at risk for having a serious reaction. It is especially important for parents to become informed about vaccine complications and how to recognize the symptoms of a vaccine reaction. In 2017, Health Impact News reported that the Informed Consent Action Network (ICAN), supported by 55 organizations, representing over 5 million people, had taken the unprecedented step of serving a notice to Mr. Don Wright, M.D., M.P.H., who was the acting secretary of the Health and Human Services (HHS) department at the time, stating that HHS had failed in their duty to conduct the proper scientific research required to demonstrate vaccine safety as was required by law, and that they should take immediate action to remedy this negligence. 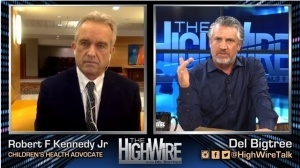 Last week (July, 2018), Del Bigtree interviewed Robert F. Kennedy Jr. on his program HighWire, announcing that they had filed a lawsuit against HHS for violating U.S. law on vaccine safety, and won. Most Americans are oblivious to the huge annual burden of chronic illness, injuries and deaths linked to vaccines. Some of the blame for the public’s ignorance belongs to a complicit media that “pretends that vaccine-related injuries do not occur.” However, the lion’s share of culpability for the buried story likely rests with the two federal agencies charged with vaccine oversight—the Food and Drug Administration (FDA) and the Centers for Disease Control and Prevention (CDC)—both of which regularly engage in various forms of deception to uphold their bland narrative that vaccines are unambiguously safe. 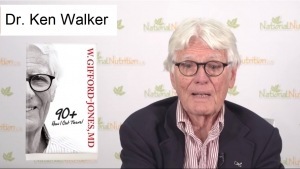 One of the most significant criticisms has to do with the FDA’s and CDC’s business-as-usual reliance on external experts with financial ties to the pharmaceutical companies and/or products that they are evaluating. Little has changed since a congressional Committee on Government Reform outlined this problem nearly two decades ago. The Reform Committee examined the doings of the FDA’s Vaccine and Related Biological Products Advisory Committee (VRBPAC), which determines whether new vaccines should be licensed, and the CDC’s Advisory Committee on Immunization Practices (ACIP), which recommends vaccines for inclusion in the childhood vaccine schedule. The congressional committee noted that FDA and CDC advisory committee members and chairpersons own stock in the vaccine companies under consideration, as well as own vaccine patents. The CDC “grants conflict of interest waivers to every member of their advisory committee a year at a time and allows full participation in the discussions leading up to a vote by every member,” even if a member has a financial stake in the decision. Recently, top-tier autoimmunity researchers described vaccine safety science as a “hazardous occupation.” In their view, this is because uncompromising vaccine proponents are instantly ready to mount vociferous personal attacks on anyone who raises questions about any aspect of vaccine safety, even if the questions are buttressed by impeccable, high-quality science. Vaccine safety was not always such a taboo topic. In 1961, a leading polio researcher put forth the view in Science that “even after licensing, a new vaccine product must be considered to be on trial” because of the many “new variables” that accompany large-scale vaccine production and rollout. 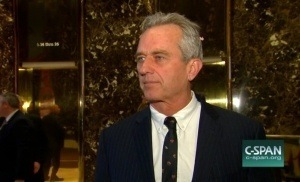 A leading Food and Drug Administration (FDA) official contended in 1999 that modern advances in vaccine technology were rapidly “outpacing researchers” ability to predict potential vaccine-related adverse events” and argued for closer attention to safety issues from the earliest stages of vaccine development. “One of the important things is that the technology used to make these vaccines actually exceeds the science and technology to understand how these vaccines work and to predict how they will work,” stated Dr. Peter Patriarca, MD, Director of the Viral Products Division of the FDA Center for Biological Evaluation and Research (CBER). “So this has the potential for ending up in a situation which I call a 'black box' vaccine referring to a situation of unforeseen and unpredictable vaccine outcomes.” Dr. Patriarca also voiced concerns that with live attenuated vaccines “there is the potential for these vaccines, many of which have been poorly characterized, to recombine with viruses that may be present in the vaccine. 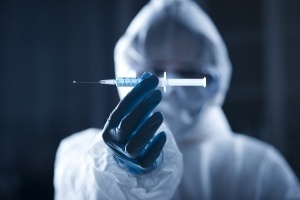 Some of these viruses are latent and persist for a while, so it is very important to assure that these things are safe before they are given to people.” In the two decades since the FDA official’s prescient words of warning, numerous published studies have highlighted vaccine safety concerns that were either unexplored or neglected prior to the introduction of the vaccines in question. Last week, 15 dedicated children’s health and medical choice advocates joined Robert F. Kennedy, Jr. on Capitol Hill to fulfill our promise to the community to provide crucial vaccine safety information to every member of Congress. Meetings with Congressional Members, Senators, and staff took place over a four-day time period to explain WMP’s six-step Vaccine Safety Project that details the actions necessary to introduce sound science and transparency to our vaccination program. Federally elected officials can no longer ignore the chronic health conditions—tied in no small part to adverse vaccine reactions—that currently affect over half of our nation’s children. 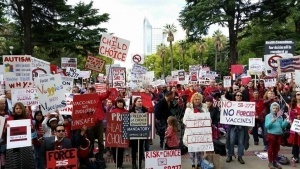 Not only are these officials now aware of the conflicts of interest and inadequate science upon which the vaccine program is built, but they have been given a common-sense plan for enacting desperately needed changes that puts children’s health first. 55 Organizations Representing 5 Million Serve Legal Notice to HHS for Failure to Conduct Vaccine Safety Tests: Civil Action to Follow? Each time a parent decides to have their child vaccinated, they do so believing that each vaccine has been rigorously tested for vaccine safety and efficacy. Equally, they are of the understanding that their child will be protected from deadly diseases once they have received the vaccine. In reality, however, vaccines are not being tested for safety before entering the market. This is because the creation of the 1986 National Vaccine Injury Compensation Program took all liability away from the pharmaceutical industry and transferred it to the health department. Due to these actions, it is now the responsibility of the U.S. Department of Health and Human Services to conduct all the safety testing that the pharmaceutical industry no longer has to do. Mr. Del Bigtree, producer of the film VAXXED which chronicles the revelations of a CDC whistleblower who revealed that data showing a vaccine-autism connection was covered up, stated on camera that: “We believe that there is a major failure of Health and Human Services (HHS) to do the appropriate safety tests.” Angered by what he believes to be the lack of science and appropriate testing being carried out by the HHS, Mr. Bigtree and the Informed Consent Action Network (ICAN), supported by 55 organizations representing over 5 million people, have taken the unprecedented step of serving a notice to Mr. Don Wright, M.D., M.P.H., who is the acting secretary of the HHS department, demanding action to be taken. This notice, served on October 12, 2017, outlined exactly how the HHS department had failed in their duty to conduct the proper scientific research required to demonstrate vaccine safety. In serving this notice together, Mr. Bigtree and ICAN have recognized and made a stand, the HHS needs to be held accountable for their actions. If they do not address these concerns, Congress has given authority for Civil Action to be taken.